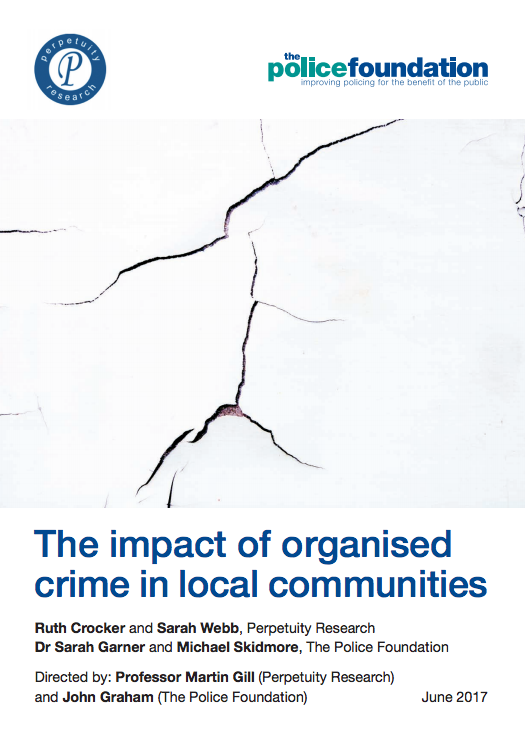 The Police Foundation and Perpetuity Research completed a two-year study which focused on understanding the impact of serious organised crime in local communities and how this threat is tackled locally. Some of the most harmful crimes are unacknowledged or not prioritised by the police due to low levels of reporting and the limitations of data collected on such crime. We developed a narrative for organised crime that is rooted at the local level, with a view to recommending local solutions to improving understanding and reducing these harms.